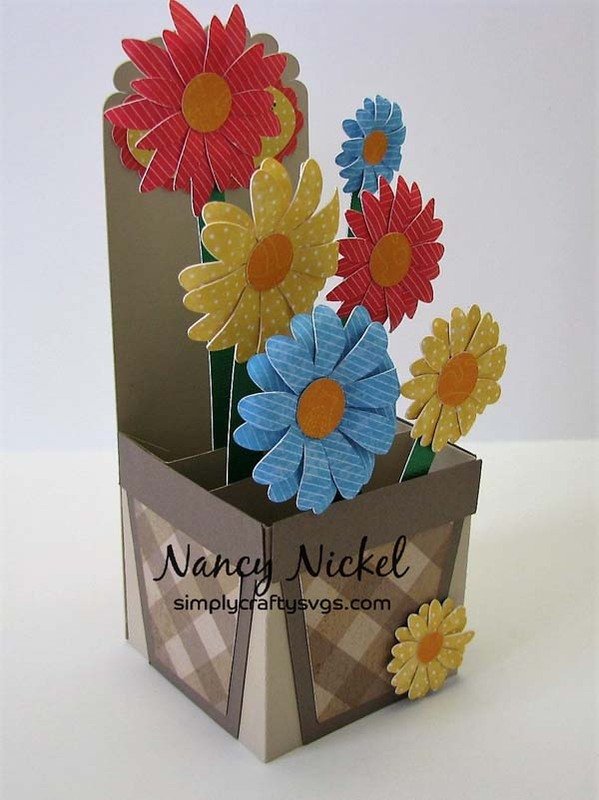 Here is box card number for in Nancy’s box card series. 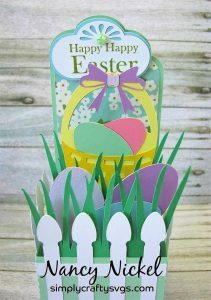 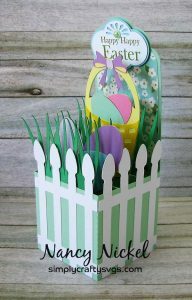 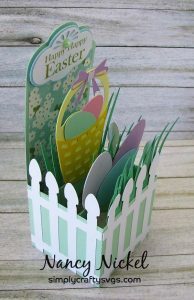 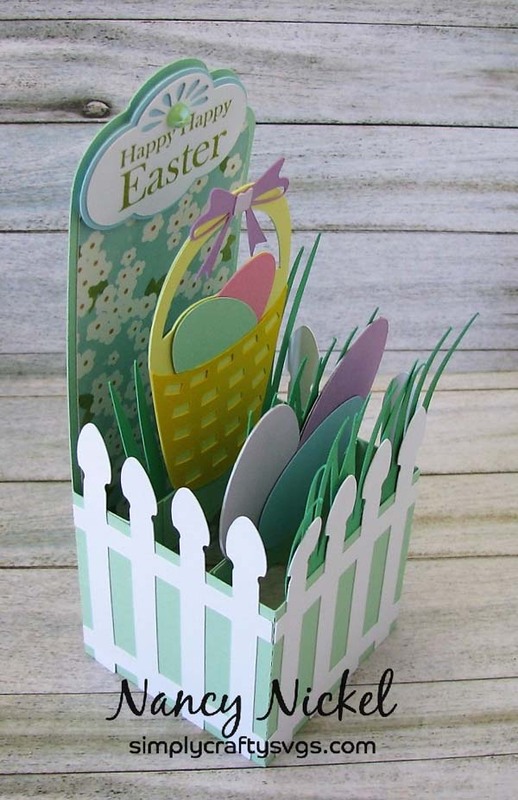 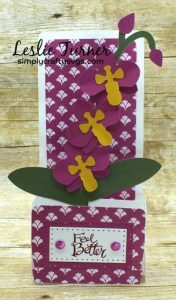 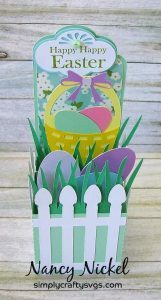 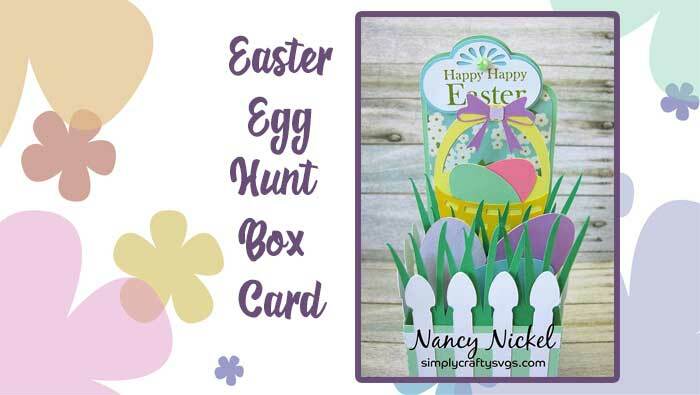 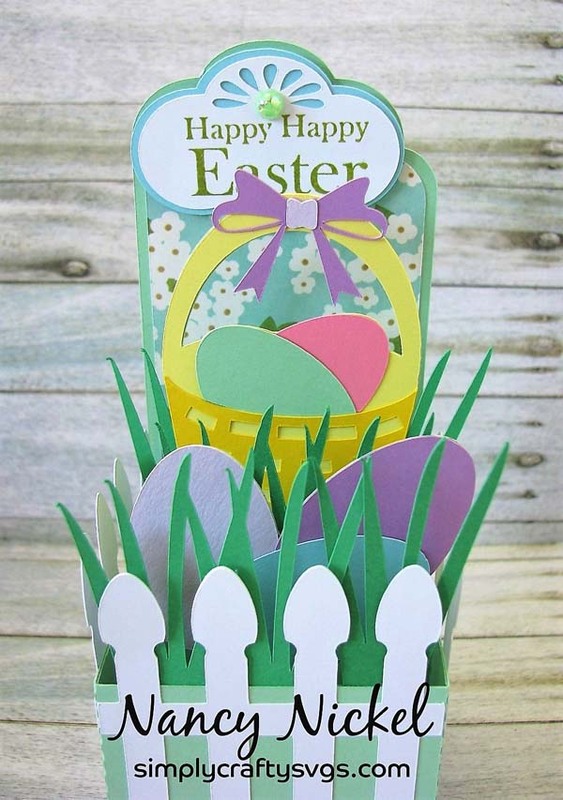 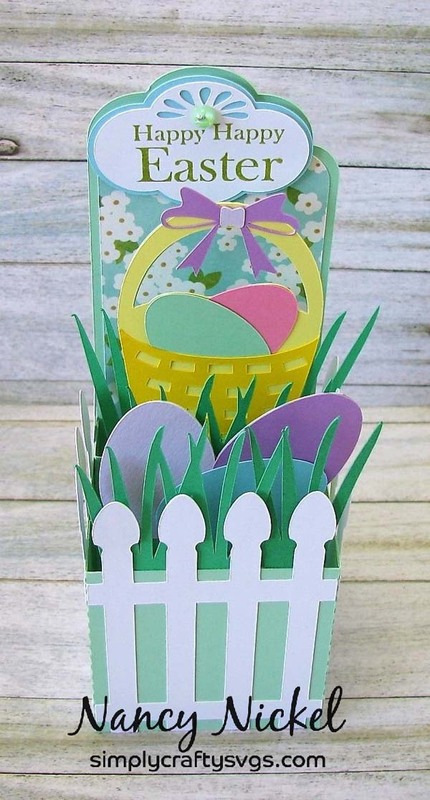 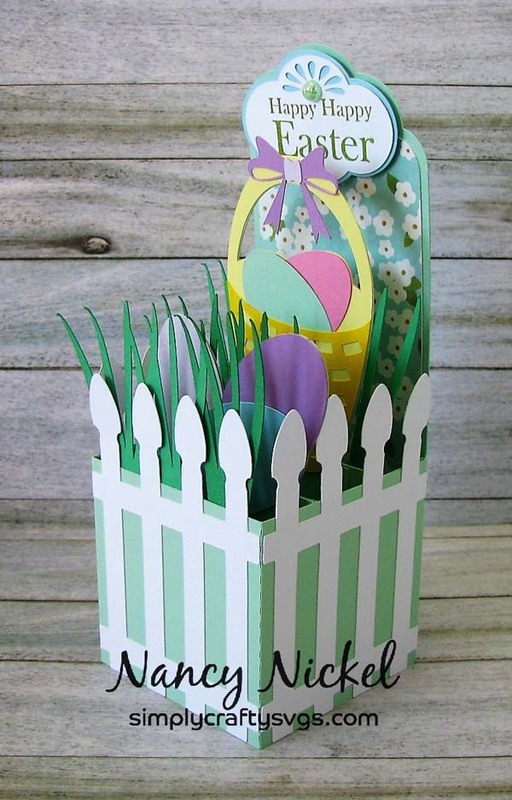 This month she designed this cute Easter Egg Hunt Box Card in perfect Spring colors. 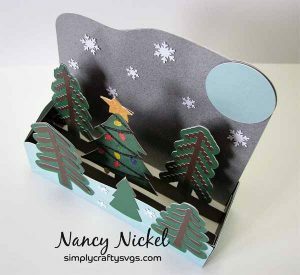 As with all box cards, it flattens to fit into an envelope. 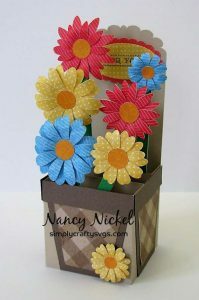 Click here to visit this blog post and there is a ton of other fabulous projects on her blog too! Here is the third box card in Nancy’s box card series. 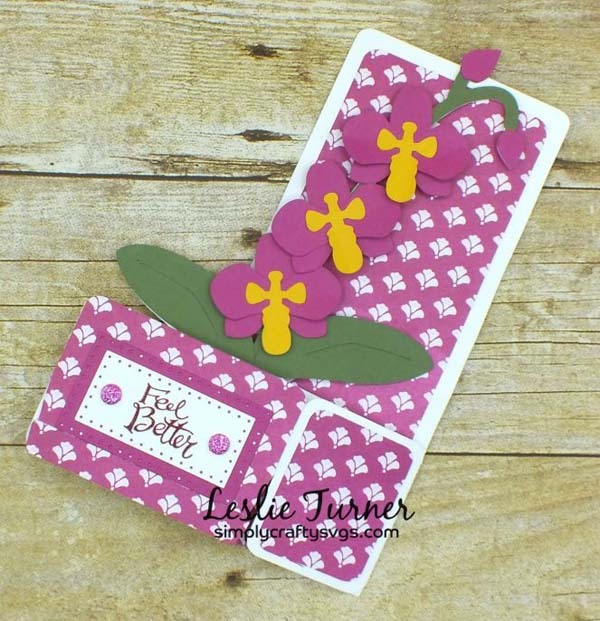 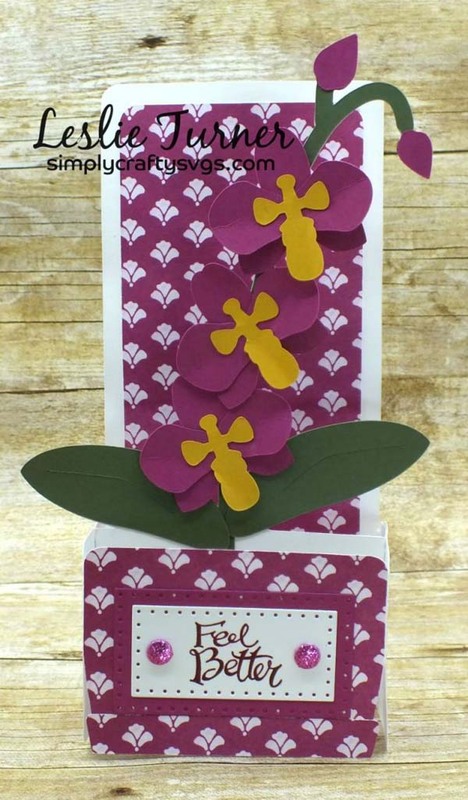 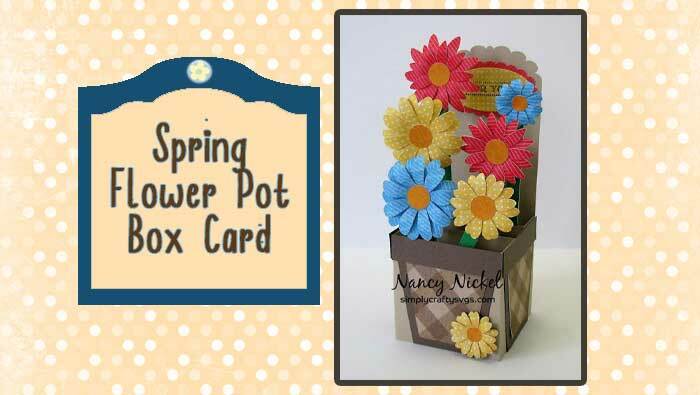 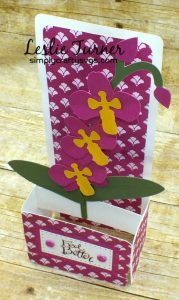 This time, she designed her own version of the Spring Flower Pot Box Card, with a few modifications, adding double petals and some reinforcements. 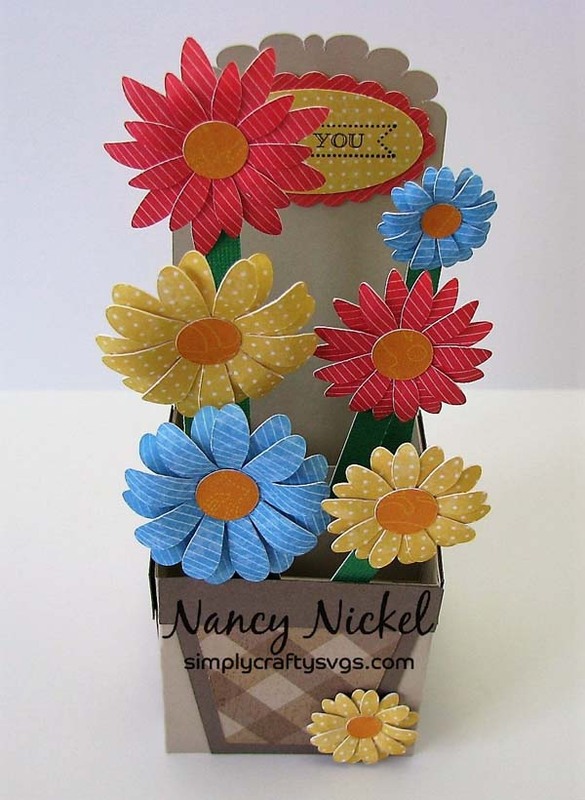 As with all box cards, it flattens to fit into an envelope. Click here to visit her blog and see more photos. 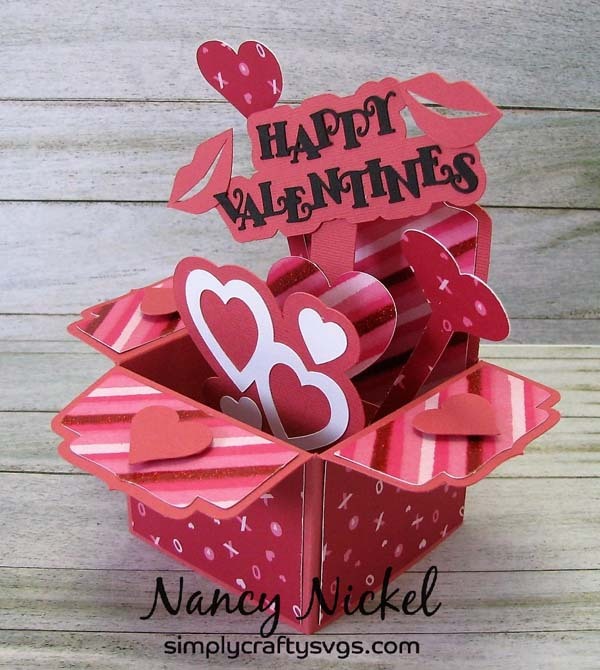 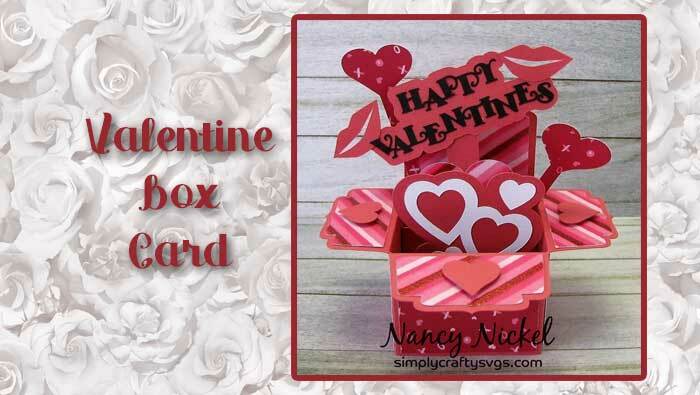 Second in Nancy’s box card series, this Valentine box card was created from three different SVG files. 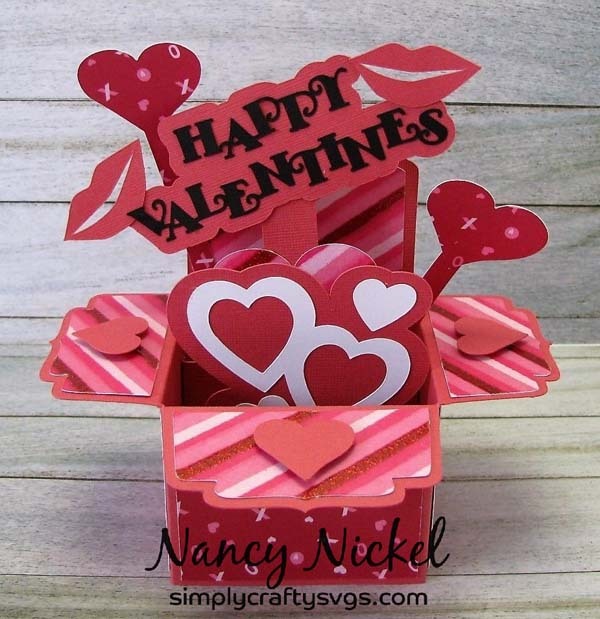 She used a box card template from the A2 Box Card Collection 2 SVG File, the layered heart cluster from the Side by Side Box Card SVG file, and elements from the Happy Valentine’s Bag SVG File. 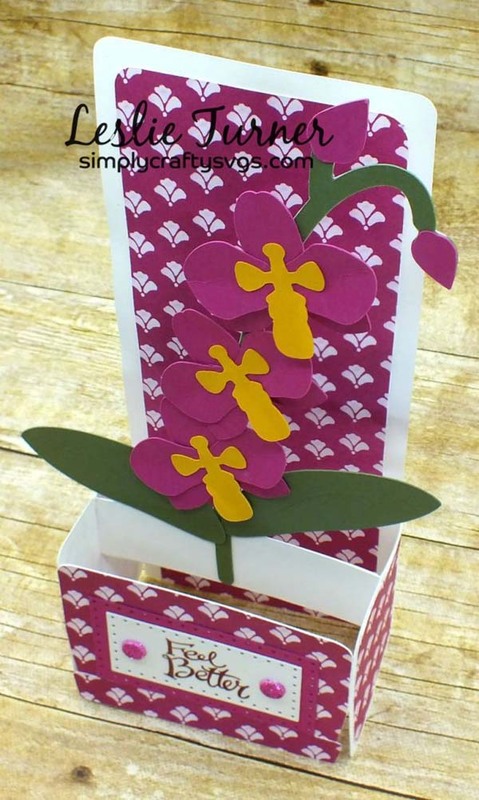 The box card flattens to fit into an envelope. Click here to visit her blog and see more photos. This is the start of a box card series designed by Nancy. 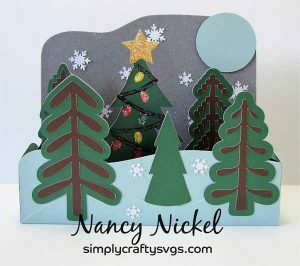 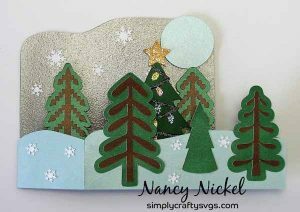 For this one, she used the Christmas Tree Farm Box Card SVG. 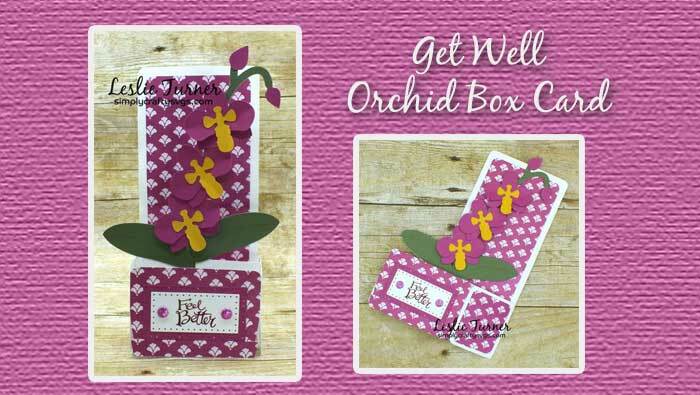 The box card flattens to fit into an envelope. Click here to visit her blog and see more photos. 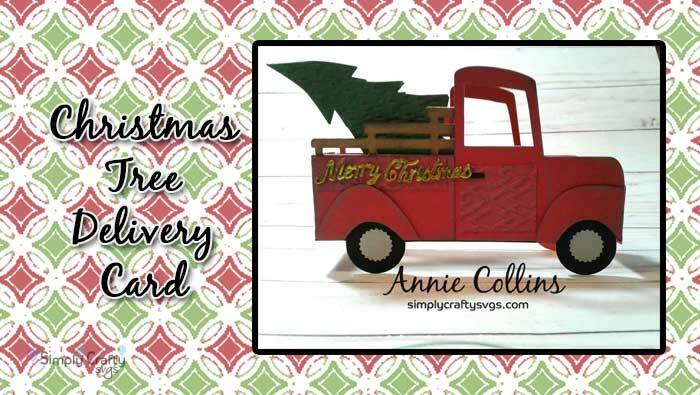 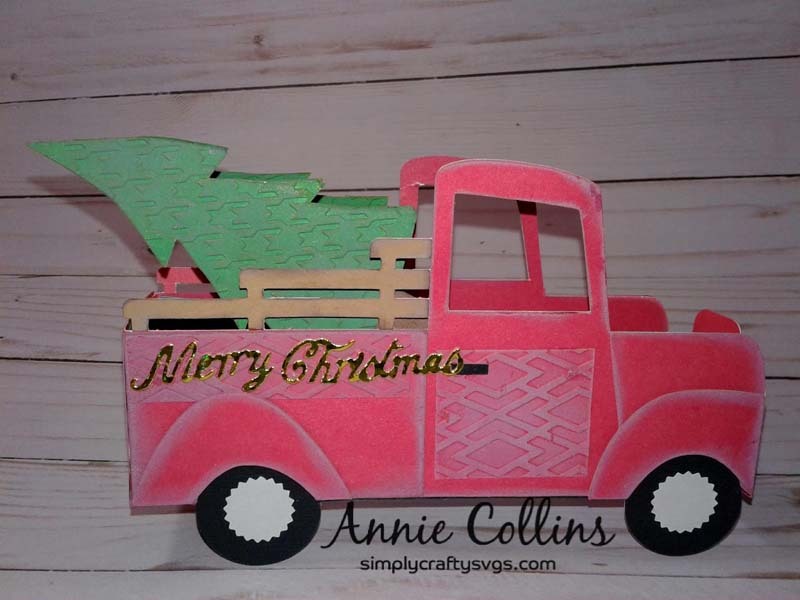 Sharing this beautiful version of the Christmas Tree Delivery Card by Annie. 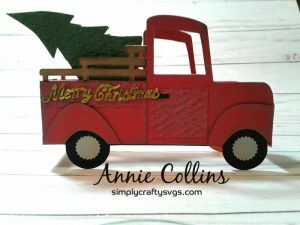 Who does not like the classic Red Vintage Truck?! This box card folds flat to fit into an envelope. 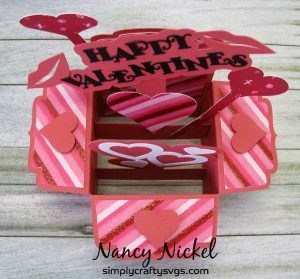 Click here to read more on her blog. 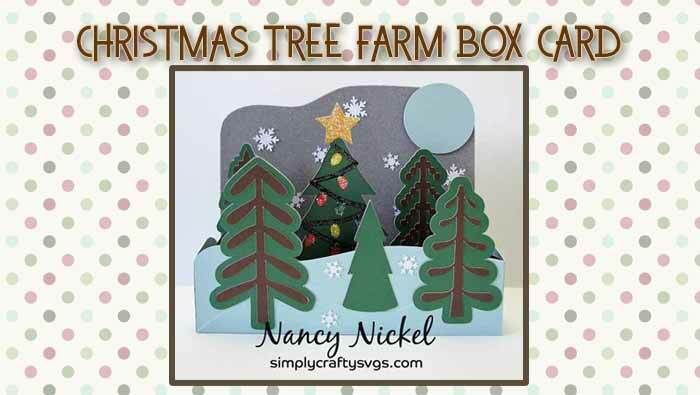 She makes a lot of other great projects too, so give it a look!